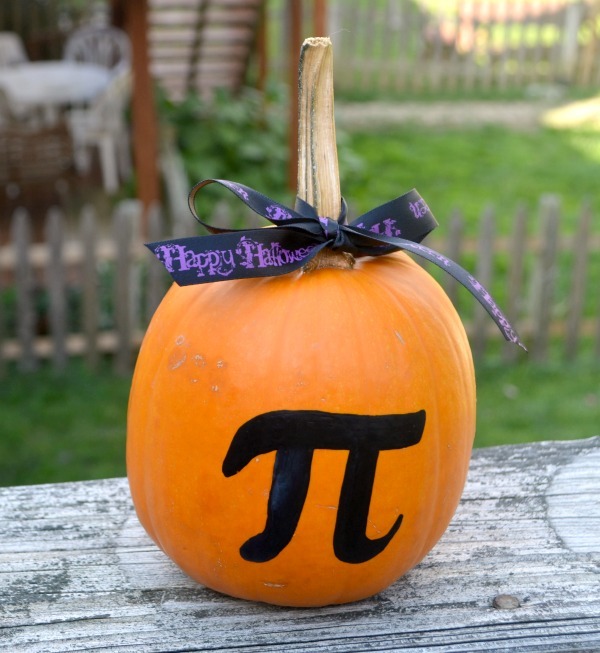 Step 1: Use a pencil to freehand or trace the pi symbol onto the front of your pumpkin. I just drew mine while looking at an image of the symbol, but if you’re not comfortable with your freehand drawing skills, you can easily print out an image, cut it out, and trace around it. Step 2: Trace over your outline, then fill it in using your black Painters paint pen. Step 3: Tie a piece of ribbon or raffia around the stem and trim off the excess. That’s all there is to it! Now you have a very punny pumpkin any math-lover is sure to appreciate! Oh, I love this!! Please come share at my link party! !